“What world are we on?” I wonder to myself as I look too closely at the small things in front of me. Where did the bigger picture go? If I pull back and rack focus will I see the trajectory I was destined to follow? Will I find again the path that I’d set out on so many years ago? Will I rediscover the hidden meanings that had been so miraculous to me in earlier times? I look, seeking answers on this planet to questions larger than the universe. Questions of love and commitment, of sacred trust, of kinship, loyalty and truth, and the meaning of life. Not a simple task. The objects in front of me are detracting my attention from the signals the universe is sending to me. If I close my eyes, I mighty truly see. “Why I am expecting the answers to be so black and white?” I ask myself. “Ha!” Is this a break through? Perhaps the answers to my questions lie in my desire to ask them, so in that case, I shall look within. 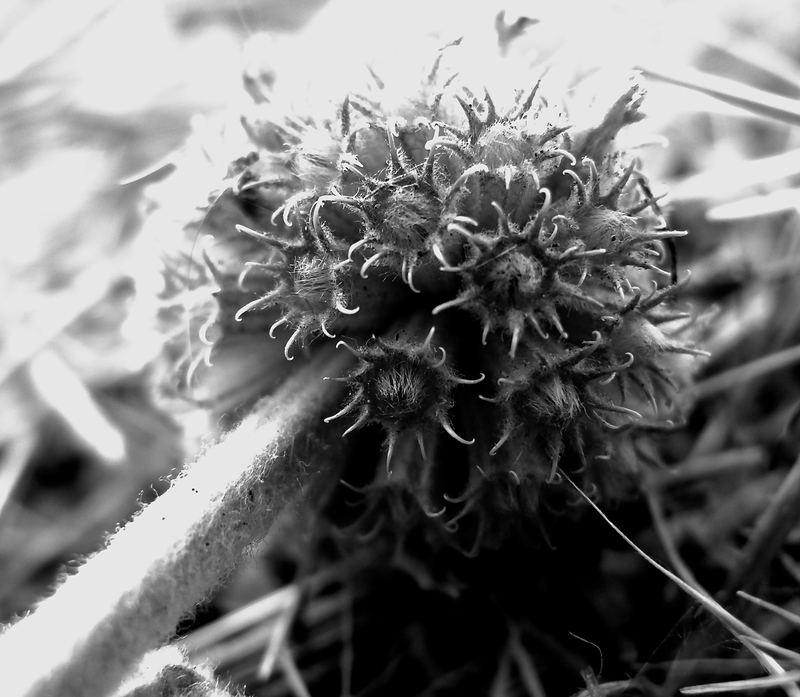 I gaze at the world of the horehound seed head and I see order and mystery. I see separateness and community. I see purpose and beauty and joined in form. I see whimsy and faith. I see planetary wonders reflected in this weed. Thank you, horehound, for adjusting my focus today.